Flower crowns are the perfect accessory for garden parties, music festivals, outdoor weddings, and even any old Saturday. Fortunately they’re very easy to make yourself! Here’s the instructions (plus a free printable) for how to make a flower crown with real flowers. Think about the colour theme you’re going for when putting your supplies together. I used metallic wire for this tutorial to make it easy to see (and also for some bling! ), but you could also use dark green floral wire if you’d like it to blend in with the greenery. Also try to choose greenery which complements the type of flowers you’ll be using. The greenery and flowers will last longer if they’re well hydrated. Cut the sprigs and flowers on the same day as making the crown. The greenery and flowers in this post are nothing fancy…just a few things from my backyard. It’s best to collect them in the cool of the morning and then store them in a vase of cold water. The cold water will hydrate the flowers/greenery to ensure they last as long as possible on the crown. PS: faux flowers will work too! Step 1 – Cut the flower stems so they have about 3 inches (10 cm) of stem below the flower. Remove any leaves near the bottom of the stem. Remove the leaves from the bottom of the greenery sprigs as well. This will make it easier to attach the stems to the wire base. Place the flower stems and greenery sprigs into cold water. 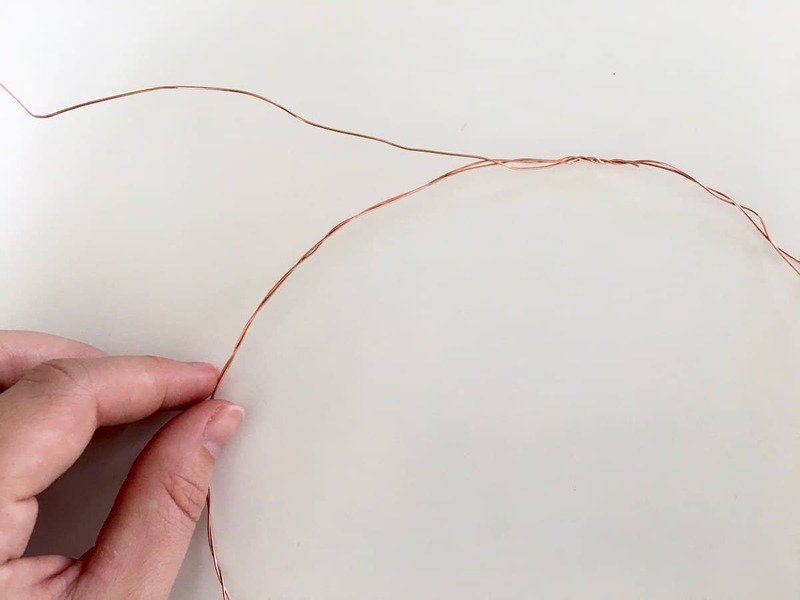 Step 2 – Unwind some floral wire from the spool. Wrap the wire loosely around the top your head to measure out the length of wire for the crown. Twist the end of the wire over the loop to create a circle. I like to double up the wire to make a stronger base by twisting a second length of wire around the circle. 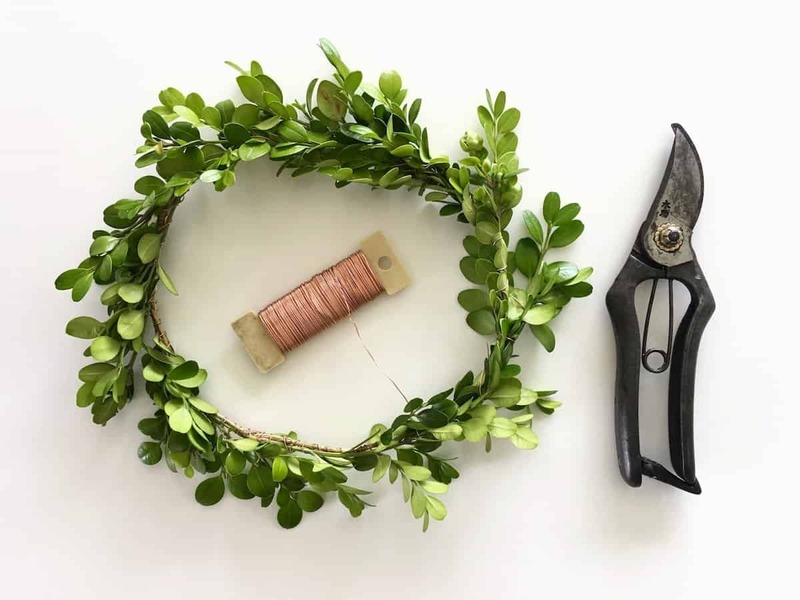 Step 3 – Attach the first sprig of greenery to the crown using the floral wire. This is easiest if the bottom of the sprig has a little bit of bare stem at the bottom without any leaves (remove any leaves at the bottom of the sprig). 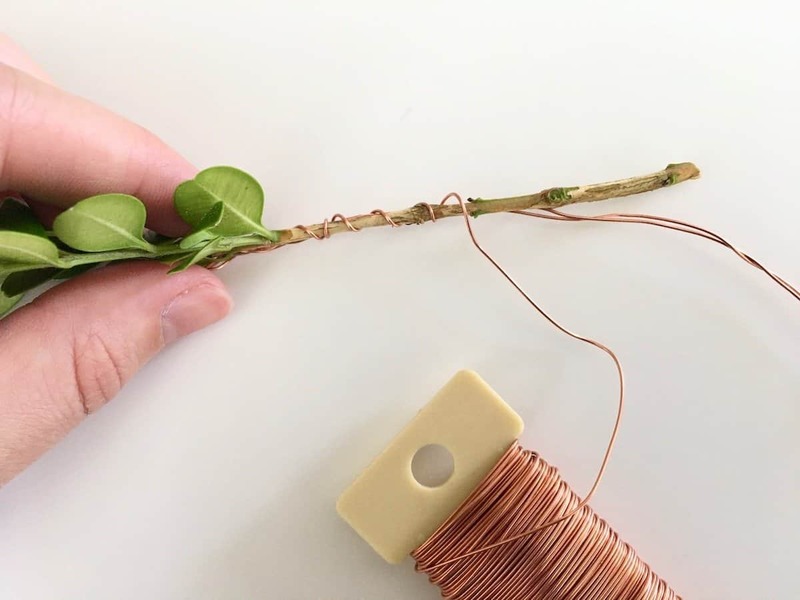 Wrap the floral wire around the stem to attach it to the wire base. Step 4 – Place the second sprig on the base a few centimetres (an inch or so) past the first spring. Continue looping the wire around the bottom of the sprigs to attach them to the wire base. Step 5 – Continue attaching greenery until the loop is complete. If the greenery sticks out too far from the base for your taste, trim loose ends to create a more polished greenery ring. Step 6 – Attach the first flower to the greenery ring by continuing around the base with the wire. Large flowers will have to be attached over a longer stem distance (and with more loops) than small, light flowers. For most flowers, 2 inches of stem attached to the greenery base will work fine. Large heavy flowers like peonies may need ~3 inches (10 cm) of stem attached. 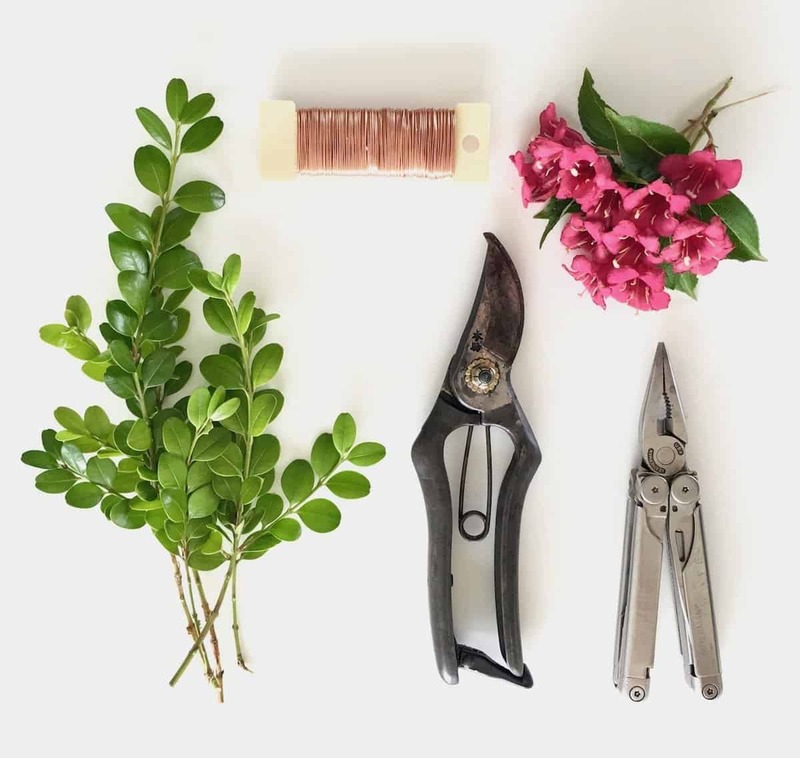 Step 7 – Continue attaching flowers around the greenery ring with the wire. Step 8 – Have a look at the finished crown and make any final adjustments. Print out the instructions for how to make a flower crown and host your own flower crown-making get-together! 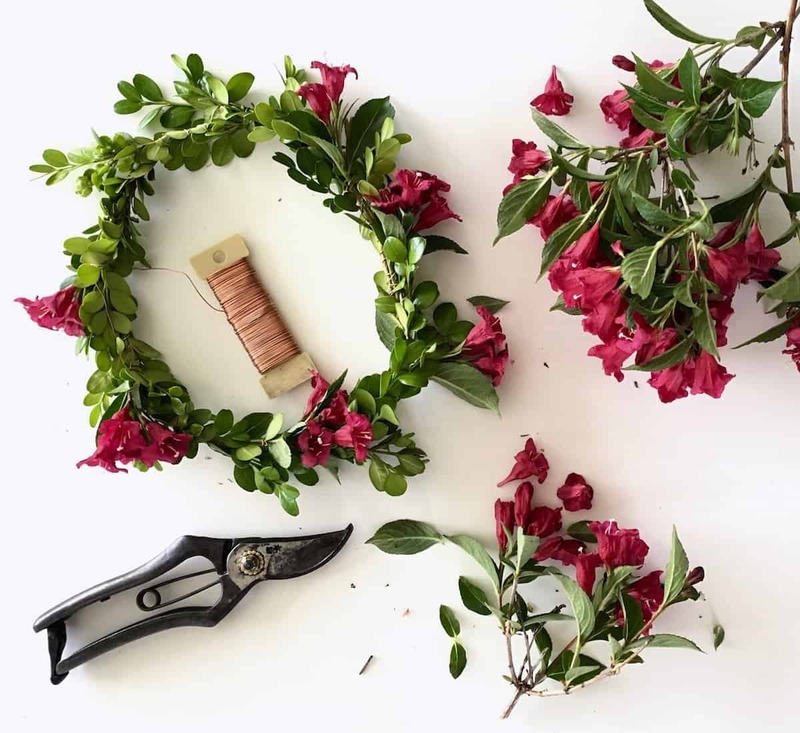 A floral crown craft station is also great way to keep guests entertained at an outdoor party like a baby or bridal shower. 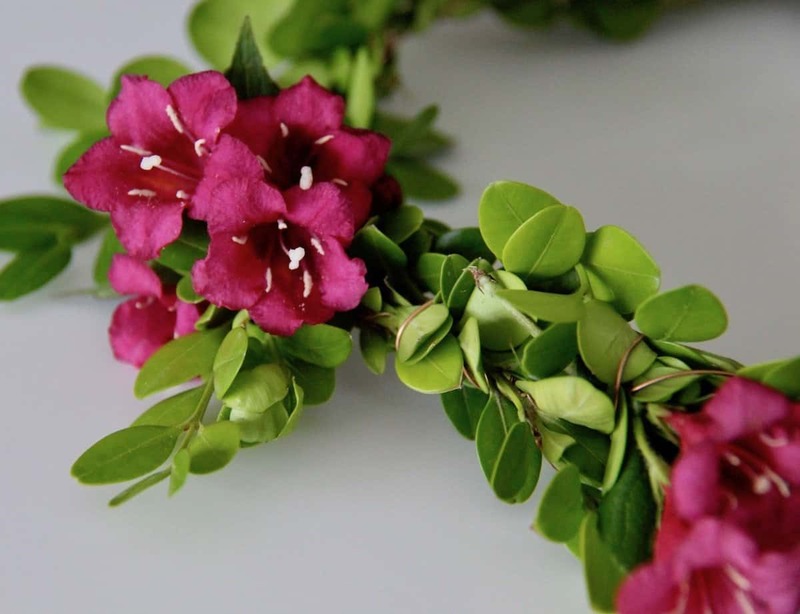 Have you ever made your own floral crown or flower headband? 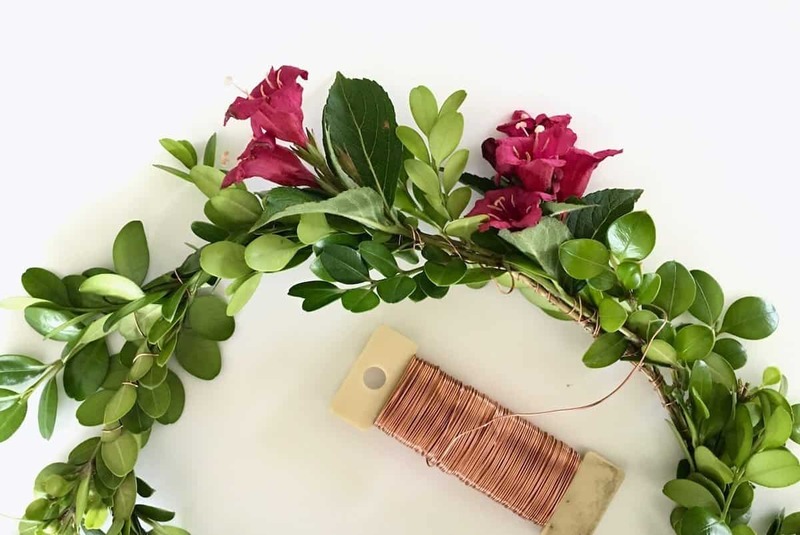 Any tips you’d like to share about how to make a flower crown? Share your stories and questions in the comments section below! I’d love to see any photos of your own flower crowns on Instagram too!